Posted by J Cole Morrison on March 7th, 2017 . 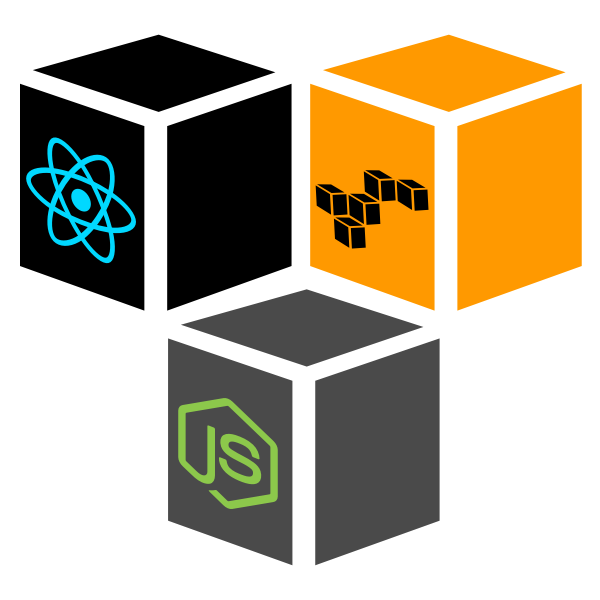 A Node + Express + Loopback API application. Featuring authorization, authentication and even database migrations! A React, Redux, Redux Saga, Redux Form and React Router based web application that USES the above API. Each service "Dockerized" and ready to be ported for both development and production. Each service hosted on AWS, load balanced, leveraging docker and fault tolerant. An actual explanation of what's going on from a practical level in addition to the "how"
If seeing with Docker intimidates is off-putting.. trust me it's so much better to have DBs and settings segmented out and not clobbering other local ones. In fact if there's anything that Docker can help with in day-to-day non devops work, it's keeping development environments from eating each other. Scaffolding out a base line react app wired with Redux, Redux Saga, Redux Form and React Router. Part 1 - Scaffolding up the base project and signing up Users. Part 3 - Working with protected resources and completion! As the name states - it's a guide. So it covers everything needed to get a full setup on AWS with Docker and ECS. This includes things like Identity and Access Management, Load Balancing, Launch Configurations, Autoscaling Groups and more. How do you apply this to the React Web Application? This part's easy - the beginning of the guide explains how to take any react application that's compiled down into a final set of html/css/js and get it setup with an NGINX Dockerfile. Additionally it also shows how to get that up and hosted on AWS EC2 Container Registry (ECR). So for getting the react web application up, just follow this guide directly. 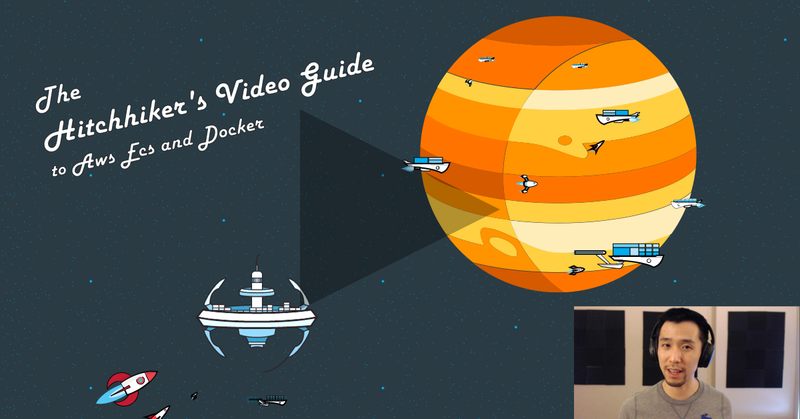 Create the NGINX configuration files and dockerfile as shown and then follow the guide. Of course it requires you to figure out CloudFormation, CodePipeline and CodeBuild. I do have a large series in the works on how to use those technologies, but teaching them is very time intensive, so it's a while out. You can also copy the CI process I have setup for the Node application, which I'll go into below. How do you apply this to the Node API Application? You can create an entrypoint shell script if you need anything else to happen on build. All this does is set the image up with Node and run the node command to get the app started. We don't need anything else in there, because all that's needed to run it on production is the node process. If you're looking for a CI/CD pipeline you'd want to install dependencies etc, etc on the CI server / image vs. including them in the image and fattening it up with useless stuff not used in runtime. Once that's built locally, just follow the instructions for pushing it up to AWS ECR that are also in the AWS Guide. This is covered without the environment property in in the AWS Guide at Step 61. Feel free to use it as a reference. Until / if you setup a specific one for your application in the RDS instance post launch. process.env.PRODUCTION_RDS_HOST = map to the returned endpoint for your DB that will be available once the RDS instance is created (minus the Port since we define that in the node app). Once you have those values, and make them available for task definitions, the API will hook up to RDS and even migrate it! But wait, won't I have two different ECS Clusters running after this? a new front-end stack is declared king, everyone loses their minds and we have to rebuild our app with this new imperative technology!! But wait again, isn't this more difficult to maintain?? Not at all. Easier to cater to the infrastructure, code and teams based on their purpose. Developers can optimize their environment for what they need. Devops can scale the API for the needs of all consumers and not worry about overhead of the webapp. Separation of concerns. The aforementioned ECS guide is a very manual process. Again, this was to help give readers a grasp of what is actually going on behind the scenes. What if you want to automate it though? What about CI/CD?? Be forewarned though - this guide does assume knowledge of ECS and CloudFormation. The ECS know how can be gained from the previously mentioned guide, but CloudFormation requires a good amount of deep diving. It's usefulness is directly correlated to how well you know AWS resources in general. Either way the Guide and Git Repo can help shed some light on the process. The template doesn't completely cover every single resource in the other guides or apps, but it does serve as a great starting point. My goal for this post was to unify all of the things I've been blogging about over the past months. While I was aware there was common theme, that holistic view can often get lost in time and the nature of being a web reader. Any questions about the context or feedback is highly appreciated! None of this stuff is rocket science. It's just generally a maze of bad documentation, lots of gotchas and specific language of 1000 new terms that makes it seem like so. Yes, the above will require filling in a few gaps, that I hope to personally fill later on when time permits. As usual, if you find any technical glitches or hiccups PLEASE leave a comment or hit me up on twitter or with a message!